Five cruise ships offer Eastern Caribbean cruises out of Port Canaveral in Florida. They are 5, 7 or 8 days in duration. See the full list of options below. Eastern Caribbean cruises go to sunny tropical islands. 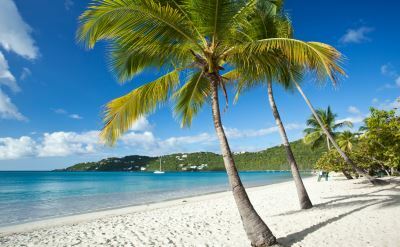 St Thomas in the US Virgin Islands is one of the popular stops. Go shopping, snorkeling, take the Skyride, tour historic sites, or visit gardens. On the island of St Maarten there's a beach by an airport runway and planes come in right over your head. You can also ride a jet-ski or explore the boardwalk and beaches. For different options, see Caribbean cruises from Charleston SC. 5-day cruises to the Eastern Caribbean on Carnival Cruise Line. Round-trip from Port Canaveral to Amber Cove (Dominican Republic) and Grand Turk (Turks & Caicos). • 2019 departures: August 5, 19, 24; September 2, 7, 16, 21, 30; October 5, 14, 19, 28; November 2, 11, 16, 25, 30; December 9, 14, 23, 28. 7-day cruises to the Eastern Caribbean on Carnival Cruise Line. Round-trip from Port Canaveral to Amber Cove (Dominican Republic), St Thomas (US Virgin Islands), San Juan (Puerto Rico) and Grand Turk (Turks & Caicos). 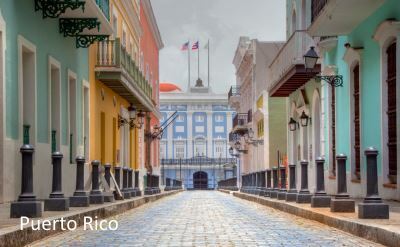 • 2019 departures: April 13, 20; May 4, 11, 18; June 1, 8, 22, 29; July 6, 20, 27; August 10, 17, 24; September 28; October 5, 12, 26; November 16, 30; December 7, 14, 28. 7-night cruises to the Eastern Caribbean on Disney Cruise Line. Round-trip from Port Canaveral to Tortola (British Virgin Islands), St Thomas (US Virgin Islands) and Castaway Cay (Bahamas). • 2019 departures: April 6, 20; May 4, 18; June 1, 15; July 13; August 10, 24; September 7, 21; October 5; November 2, 16, 30; December 28. 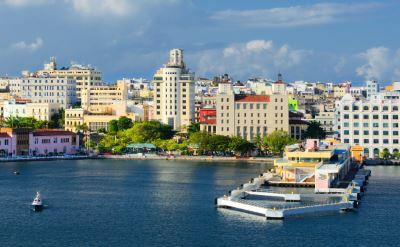 7-day cruises to the Eastern Caribbean on Norwegian Cruise Line. Round-trip from Port Canaveral/Orlando to Tortola (British Virgin Islands), St Thomas (US Virgin Islands) and Great Stirrup Cay (Bahamas). • 2019 departures: April 13, November 30, December 14. 7-night cruise to the Eastern Caribbean on Royal Caribbean. 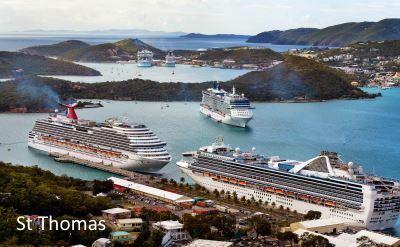 Round-trip from Port Canaveral to Nassau (Bahamas), St Thomas (US Virgin Islands) and Philipsburg (St Maarten). 7-night cruises to the Eastern Caribbean on Royal Caribbean. Round-trip from Port Canaveral to CocoCay (Bahamas), St Thomas (US Virgin Islands) and Philipsburg (St Maarten). • 2019 departures: May 12, June 2, June 9, June 23, July 21, August 4, August 25, September 1, September 15, September 22, October 13. 7-night cruises to the Eastern Caribbean on Royal Caribbean. Round-trip from Port Canaveral to Philipsburg (St Maarten), San Juan (Puerto Rico) and CocoCay (Bahamas). 7-night cruises to the Eastern Caribbean on Royal Caribbean. Round-trip from Port Canaveral to Labadee (Haiti), San Juan (Puerto Rico) and Philipsburg (St Maarten). • 2019 departures: July 14, October 6. 8-day cruises to the Eastern Caribbean on Carnival Cruise Line. Round-trip from Port Canaveral to St Maarten, St Kitts, Puerto Rico, and Grand Turk. • 2019 departures: April 6, 27.